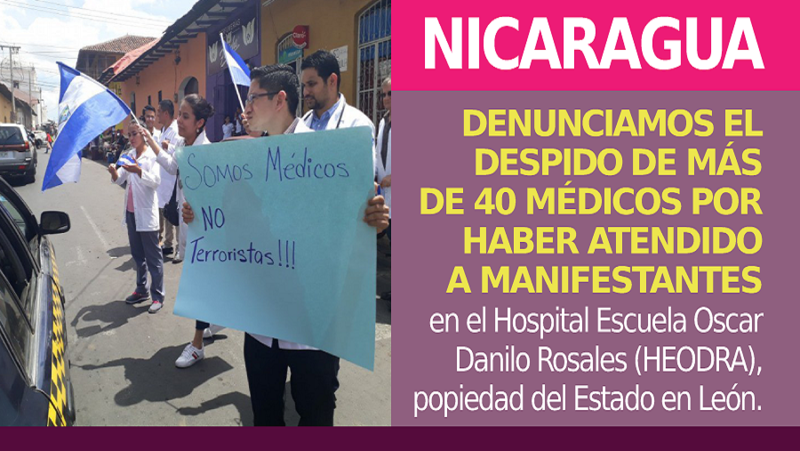 NICARAGUA / WE DENOUNCE THE DISMISSAL OF HEALTH PERSONNEL FOR ATTENDING TO DEMONSTRATORS in the Oscar Danilo Rosales School Hospital (HEODRA), property of the State of León. in the Oscar Danilo Rosales School Hospital (HEODRA), property of the State of León. 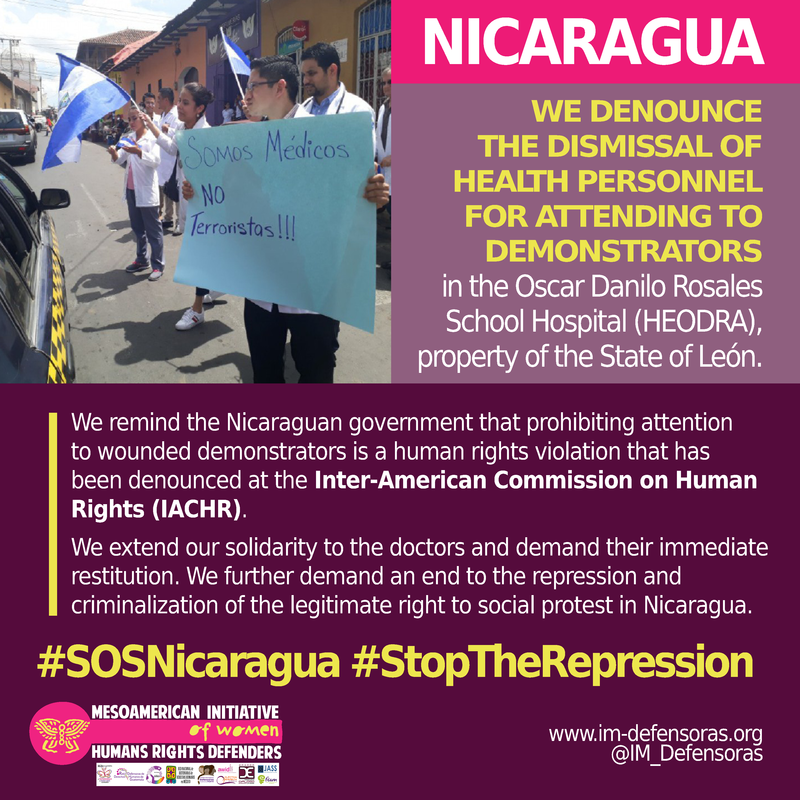 We remind the Nicaraguan government that prohibiting attention to wounded demonstrators is a human rights violation that has been denounced at the Inter-American Commission on Human Rights (IACHR). We extend our solidarity to the doctors and demand their immediate restitution. We further demand an end to the repression and criminalization of the legitimate right to social protest in Nicaragua.